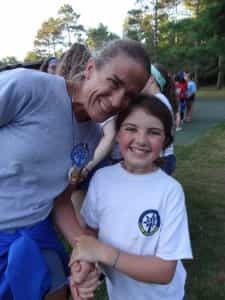 Camp Woodland | I Can’t Remember The Last Time I Belly-Laughed! I Can’t Remember The Last Time I Belly-Laughed! “I can’t remember the last time I belly-laughed!”, said Woodland Alumna, Amy Long after taking a tour of Sand Lake on the “Lazy Boy Recliner” (a.k.a. tube) that is pulled behind the ski boat. 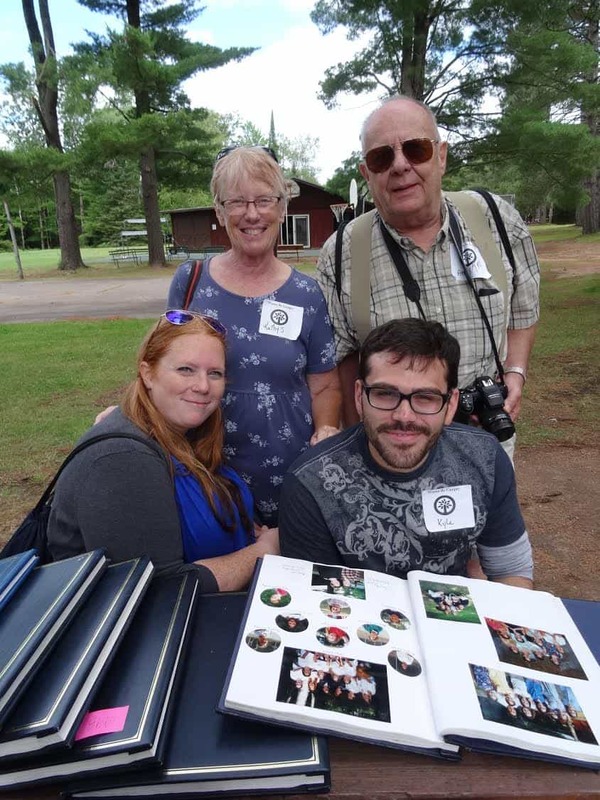 This past weekend, Woodland enjoyed the company of a large group of alumni who came to celebrate Towering Pines 70th summer. 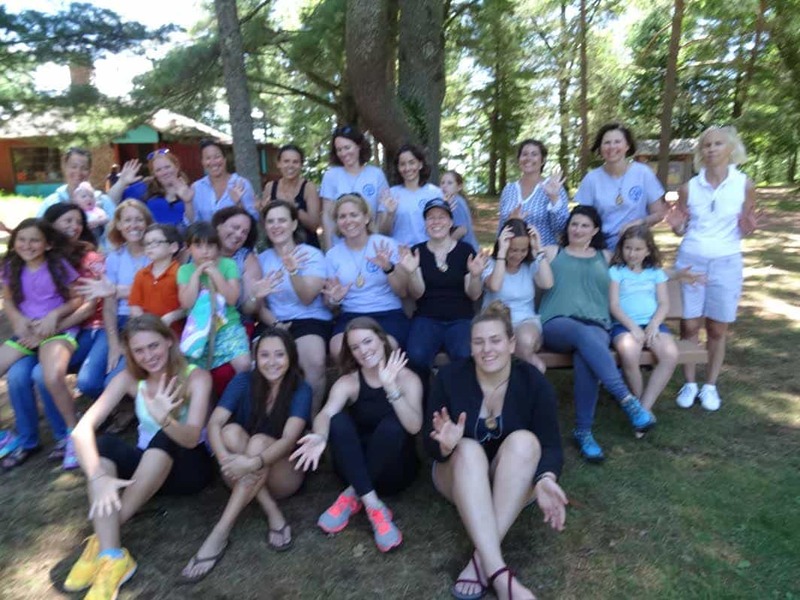 There was an abundance of laughter (and tears) as alums from the US and Mexico reunited. 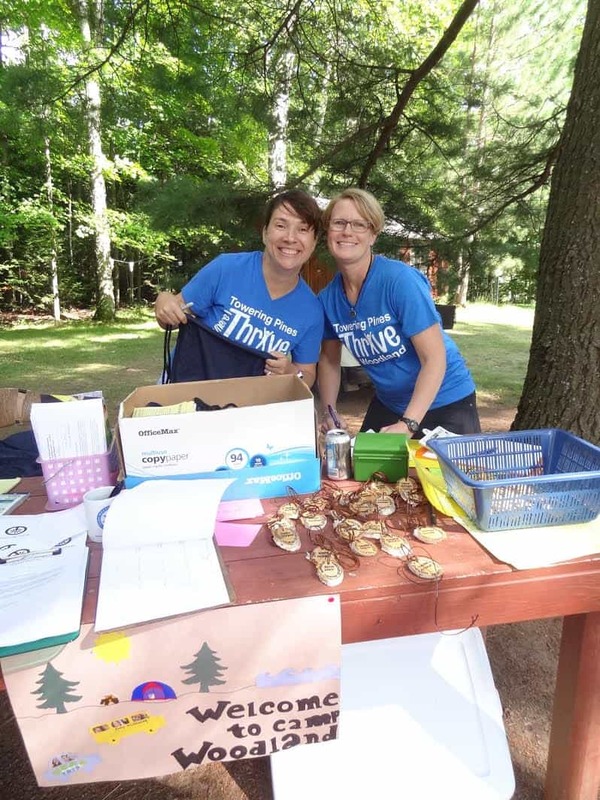 The weekend started by reconnecting with friends, a tour of camp, and a walk down Co-Ed Show Lane at Towering Pines. 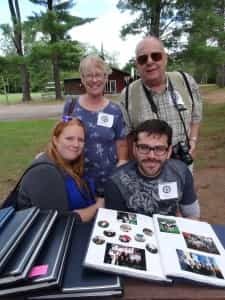 Alumni were able to see themselves in former Co-Ed Show videos and were then treated to a “live” version of the highly anticipated end-of-the-summer performance. The current Woodland and TP staff put together “Back to the Future” for the Friday night entertainment. “I’m Divin’ In” and “Handy Man” were among the selection of songs from various decades that were showcased. Alumni were able to be campers for a day and sign up for activities. Our guests enjoyed archery, riflery, arts & crafts, Farm Zoo, and tennis. 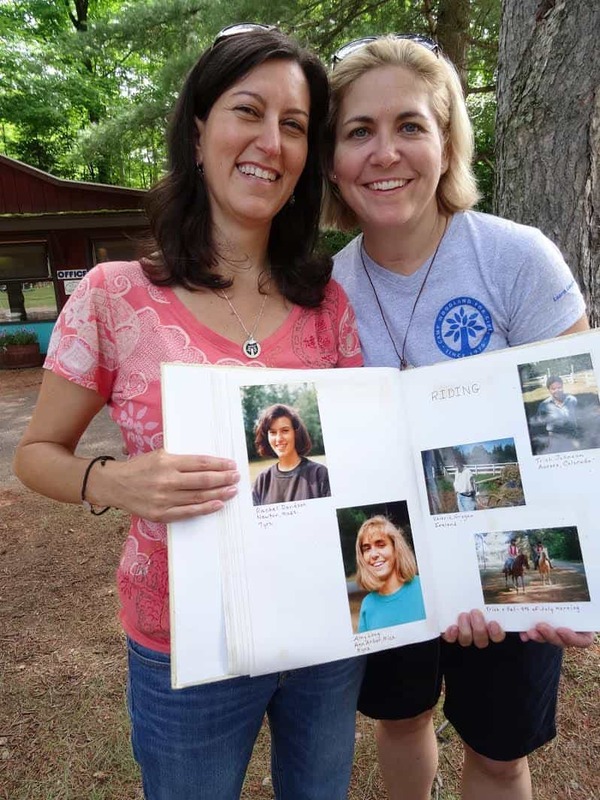 CIT’s were on hand to take alumni on a cabin tour so that they could reminisce and share memories. 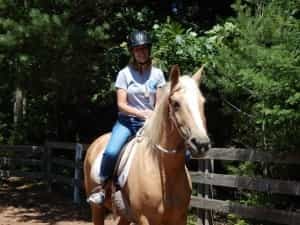 We enjoyed a picnic lunch on the volleyball court and Grace and Sam took a group on a trail ride during rest hour. Because it was such a beautiful day, the waterfront was a popular spot to hangout and catch up in the afternoon. Sailing, swimming, tubing, and canoeing were offered in addition to the opportunity to kick back and relax on the deck or sailing benches. At the end of Rec Swim, it is no surprise that the Alumni headed straight to the Canteen Shack for a frozen candy bar or soft drink. Next on the agenda was a special “Moment of Remembrance” for John Jordan and Win Abney. Alumni gathered in the Rec Hall at Towering Pines and had the opportunity to share memories of these two great men who are the foundation of the camp we know today. Following the service, alums gathered outside to enjoy a cookout on the lawn or on the benches overlooking Lake Nokomis. The gals were invited to attend and judge the annual Song Contest at Woodland, while a traditional TP campfire was on the program for the guys. There is a place in my memory where the pine trees surround me, where I feel the cool water of the lake on my skin, and sounds of whispers sing in my head. That is the place where the warm wind runs through my thoughts, the place where I can find my strength, my peace, my happiness, because there is where my friends find me. Woodland is that place in my memory and today, I share camp with you. You, too, are now my friends.